If you're using a satnav to find us, please use the postcode below. 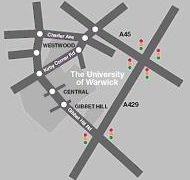 We're based in Westwood campus at the University of Warwick, surrounded by trees and greenery. Visit our interactive campus map to explore the University or use the links below. 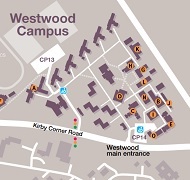 Westwood Car Park (pay and display) is closest to us. There are lots of bus stops nearby too.